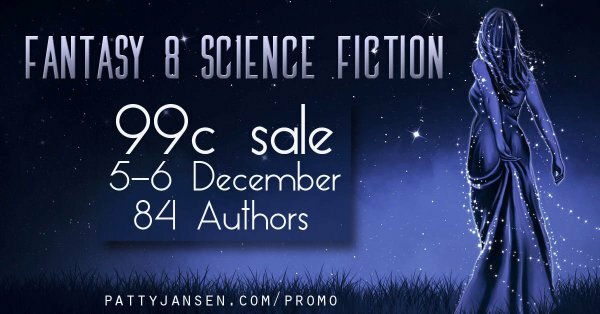 I'm part of a huge promo this weekend on science fiction and fantasy books. 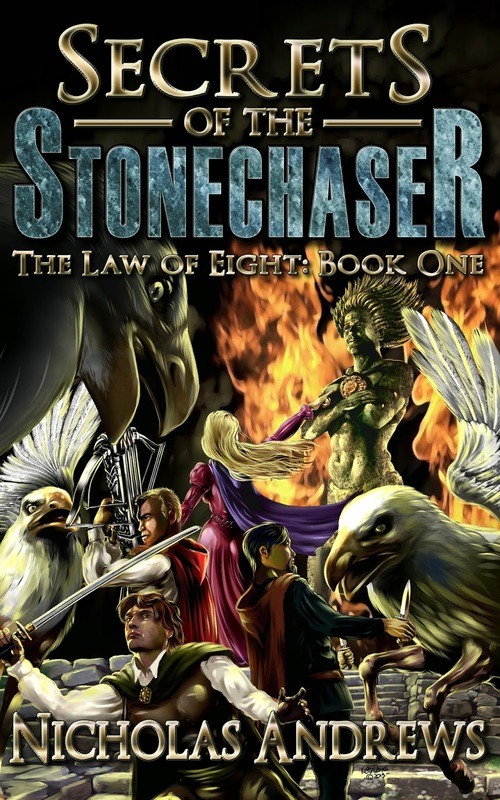 Get Secrets of the Stonechaser for only 99 cents! Big thanks to Patty Jansen for setting up this whole thing. 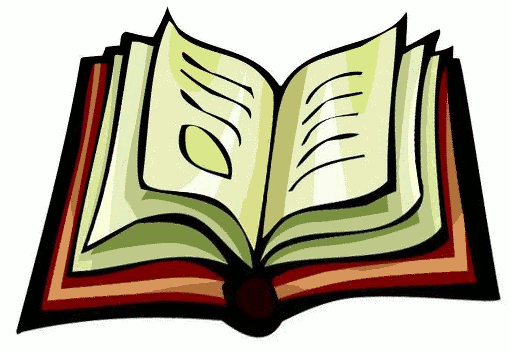 Audra: What is the most challenging aspect of writing humor? Nicholas: For me, sitting down to write it. 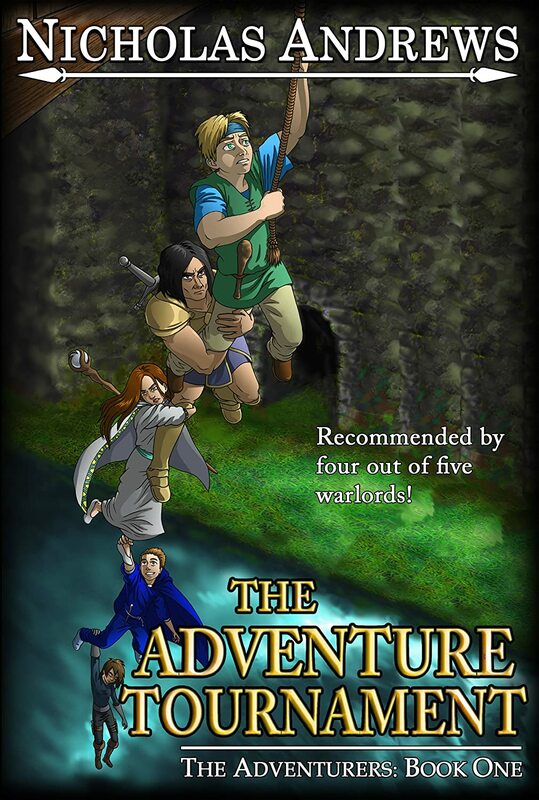 The reason I've only had two books in The Adventurers series so far is that, though I don't have a bipolar disorder, my personality does lean that way, and I switch between funny and serious on a dime. When serious or bad things are happening in life, it's a struggle to sit down and try to be funny. Luckily most of my humor comes from the characters and flows naturally once I get going. I often find myself having to rein in the humor in my more serious works, because often something funny will come into mind on the spot as I'm writing just out of the relationship between the characters and their situation. 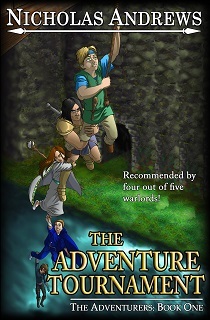 Luckily, The Adventurers books aren't one story broken up into parts, but each novel is a standalone. 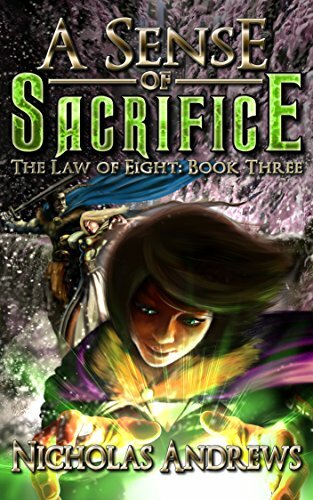 So it's a series that I can drop and pick back up whenever I have the inspiration without worrying about having to get the next installment out to keep readers hooked on an ongoing story. In a recent interview, I was asked about how I came up with character names. And I thought this might make an interesting elaboration in blog form. I know some authors take great care in the symbolism behind every name, and some just choose something that sounds evocative. Mine are a little bit of both. 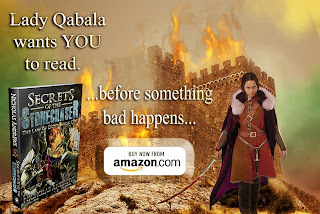 I spoke in a previous blog about my original outline for the first chapter of what would become Secrets of the Stonechaser. It shows that the first iteration of the main character's name was Eris. I believe this is what Nerris evolved from. I also mentioned the Final Fantasy VII influence, and that was how I got Qabala's name. The antagonist of the game was named Sephiroth, and since the Sephirot are the ten attributes of the Kaballah, I decided that the antagonist of my series would be named Qabala, which is an alternate spelling. Some names are often references to things from my own life. A lot of noble house names that have or haven't been mentioned yet in The Law of Eight (Ashworth, Mills, Wiseman, Moore, Thornhill) came from classmates or teachers. Of course, I'm also a professional wrestling fan, so many came from certain wrestlers' real or ring names (Calloway, Copeland, Reso, Pearce, Runnels). Some are even people who I know AND are wrestlers (Sager, Deeb, Lane). The biggest reference to my own life is with House Palada, which is where Nerris comes from. Palada itself isn't based on anything, and I think I chose it because it sounded like paladin. Sort of how Jhareth Kanave is similar to knave. But House Palada is from Brookbel, which is a direct reference to my hometown of Bellbrook. Their sigil is a golden eagle's head on a purple field. Bellbrook's high school mascot is a golden eagle, and its colors are... you guessed it, purple and gold. Originally Haladast, the Thrillseekers' hometown, was supposed to be this world's Bellbrook reference. Melantha's wedding, where the Thrillseekers reunite after their hiatus, was the Oak Forest Festival in the original draft. The Oak Forest Festival referenced the Sugar Maple Festival that is held every year in Bellbrook. Oakwood, a village close to Haladast, was directly named after a town close to Bellbrook. Anyway, that's just a sample of how I came up with some names. At least the most interesting ones. P.S. Bonus points if you know what the title of this blog post references.